Now that summer is in full swing, it’s a great time to put together a functional outdoor space such as a patio or a deck for your family and guests. Here are some tips for setting up your outdoor space for year-round use. 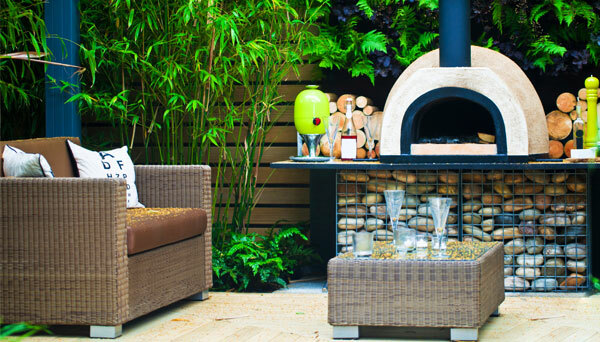 This year, outdoor living rooms and outdoor kitchens have become big trends for homes. With the technological advances of low-voltage lighting systems and softer weather-resistant fabrics, the outdoor living room is now a more comfortable and more inviting space. Outdoor kitchens are growing in popularity with the improvement of appliances and finishes that can survive in the elements. Both of these spaces are great for combining the coziness of their indoor counterparts with the openness of the outdoors. 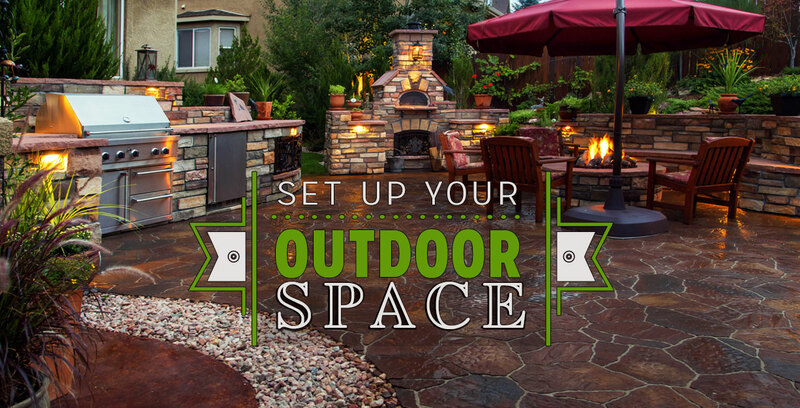 When you put together your outdoor space, remember to think about how you’re going to use it throughout the seasons. At an outdoor get-together, there’s nothing worse than a surprise spring shower to rain on the fun or trying to sit on patio furniture that has been baking in the summer sun. Consider using patio umbrellas, pergolas or coverings to make shade and protection for your space. Create comfort with patio furniture, like sofas, chairs and ottomans to fill your space. On average, how many guests would you entertain at one time? Think about ample seating for your living area as well as your dining area and remember to choose the furniture that endures the best in your particular area of the world. Don’t forget to add ambiance to your outdoor space. Create an atmosphere that is warm and inviting. 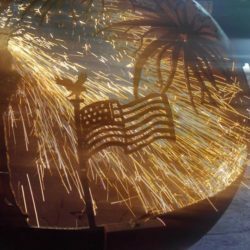 Fire pits, fire bowls and fire spheres are great at creating ambiance and they’re usable during the daytime and the evening. Keep them as they are while the sun is out and you have a focal point that can command everyone’s attention. 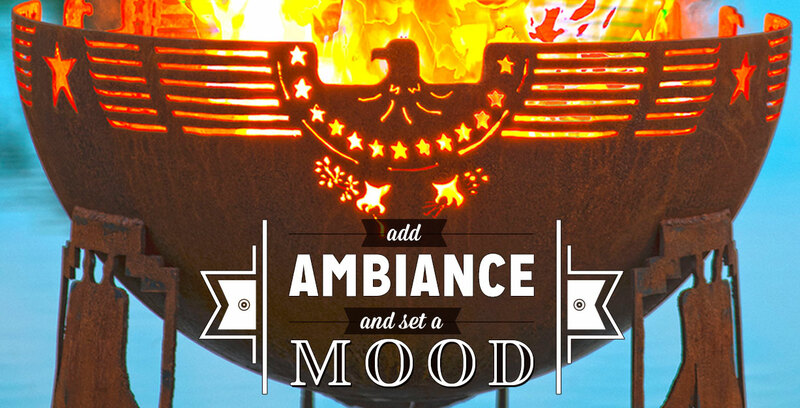 Get a fire going in the evening and you’ll transform your fire pit as well as your space. You can also add warmth to cool summer nights as well as the chilly winters with a fire pit. Finish off your outdoor space with lights. Lighting in your space is the perfect touch to creating an area that is functional during the evening too. Imagine hosting a dinner party in the fresh air or even relaxing in the outdoor space after dining. You can use outdoor lamps, garden lights, or, if you have a patio covering, you can hang string lights across the ceiling to really illuminate the space. Lights allow you to not only see one another, but they can also set the mood and ambiance of your space. Are you ready to enjoy and entertain with your own ambient outdoor space? Tell us about your favorite time to entertain outdoors in the comment section below and share your ideas with us on social media.